Folded wedding thank you cards, come with free 100gsm white envelopes. 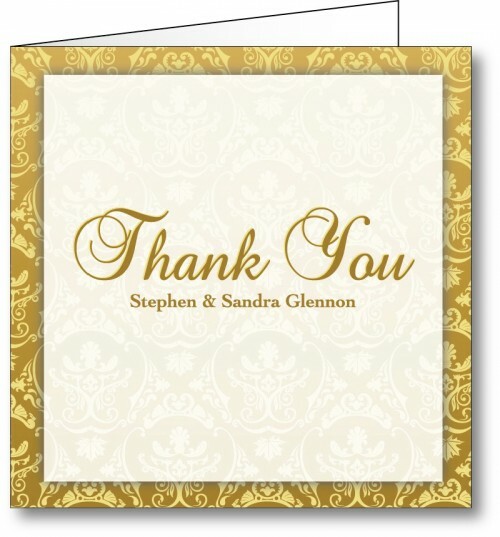 *Please note that as our thank you cards are digitally printed we will try our best to reproduce your photo (if supplied) as close as possible to the original but please be aware that sometimes colours are not exactly 100% due to the texture of the silk card. Please ensure all photos are of high resolution (300dpi).